According to PriceWaterhouseCoopers, an outstanding 97% of organizations believe project management is critical to business performance and organisation success. With good planning and organisation, project management can save a lot of mistake, confusion, delays, all of which decreases the efficiency of an organisation. The importance of project management cannot be over emphasized as without a good approach to the task of managing projects and achieving their objectives, it would be very difficult for the organisations to successfully execute the projects within the constraints of time, scope and quality and deliver the required result. What is client-side project management? To answer this question, we first need to understand what project management is, and the processes involved. Project management has many different types- they all have the same core skills, but emphases are laid on different aspects to suit their roles. One of the these key types is the client-side project management which involves the process of acting for the client as opposed to project management that provides hands-on delivery. Client-side project management is concerned with representing the client, delivering projects and employing others to do so. It focuses on areas more aligned with those of a sponsor and programme manager, taking a more strategic, benefits and outcome view. Client-side project management involves enforcing company and project policies, main client interface, and ensuring project is constructed in accordance with design, budget and schedule; performing all functions and responsibilities in accordance with the company’s value. • Planning of construction project and preparing a schedule in conjunction with the Project Superintendent. • Defining the projects goals, objectives, risks, assumptions, staffing, roles and responsibilities, work breakdown structure. • Conducting cost-benefit analysis, risk analysis, and also determining project feasibility. • Management of project activities throughout lifecycle, including the allocation of adequate resources, scheduling, documentation, budget, and other factors necessary for success. • Preparation of tender documents, control budgets, estimates, progress and monthly reports. • Coordination, direction and negotiation of contracts including a scope of work review. • Familiarising the project team with the terms of the project contract and proposal. • Close monitoring of the efforts and billing of third-party workers, such as consultants, contractors, etc. • Identifying and resolving conflicts and creation of contingency plans to mitigate risk. 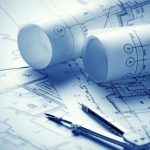 • Processing contract drawings and specifications ensuring the building is built in accordance with these documents. 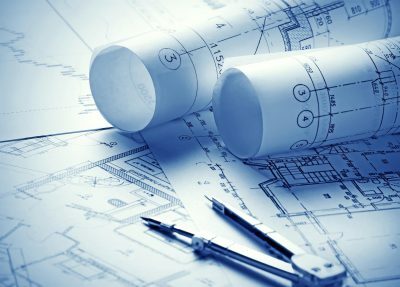 • Processing changes received from the Architect including contacting the contractor for pricing, checking subcontractor’s quotations to ensure they are complete and reasonable; itemizing changes and presenting them to the Architect with confidence that pricing is in accordance with the changes. • Verifying the accuracy of change orders and ensures change orders are approved. • Meeting with Owners, Architects and all stakeholders in a professional manner to solicit feedback, input and expectations and have the ability to communicate effectively both the concerns and best interests of the company. • Coordinating, management and communication with all stakeholders and effectively dealing with problems such as delivery, labor, schedule and payment disputes. • Overseeing total construction effort to ensure project is constructed in accordance with design, budget and schedule. In conclusion, Client-side project management involves project planning and design, i.e, setting a clear project goal and objective, establishing activities and detail budget, preparing project schedule; project implementation; project control; project closing and handover. Client-side project management success is usually reliant on the effectiveness of the specific individual appointed rather than the reputation of the company they work for.